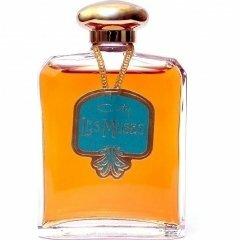 Les Muses is a perfume by Coty for women and was released in 1945. The scent is floral-fruity. Projection and longevity are above-average. The production was apparently discontinued. Hard to find authoritative info on this discontinued scent. I have the 1986 rerelease. I assume it has faded a good deal in the bottle. The original version was called Muse. This version is, according to themuseinwoodenshoes.com, a fruity floral. Most blogs seem to agree it has peaches, jasmine, ylang ylang, rose, citrus, sandalwood. Possibly amber. Maybe so, but when I put it on I could have sworn I smelled civet. Doesn't matter, though. Swiftly it became a barely detectable skin scent, pleasant enough but unlike it's stellar sister, Chypre de Coty (glorious even in reiussue) nothing to get excited about or remember to wear again. Write the first Review for Les Muses!